Baroreflex activation through electrical carotid sinus stimulation has been developed for resistant arterial hypertension and heart failure management. Electrical carotid sinus stimulation lowered blood pressure in various hypertensive animal models and improved cardiac remodeling and survival in experimental heart failure. In human mechanistic profiling studies, electrical carotid sinus stimulation was shown to lower blood pressure through sympathetic inhibition; however, the response showed substantial interindividual variability. The first-generation device reduced blood pressure in controlled and uncontrolled clinical trials. Controlled clinical trials proving efficacy in blood pressure reduction do not exist for the currently available second-generation carotid sinus stimulator. 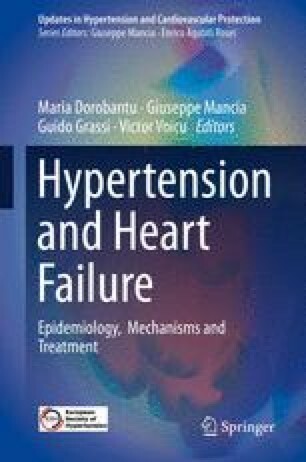 Investigations in heart failure patients showed symptomatic improvements; however, echocardiography measurements did not change significantly. Overall, electrical carotid sinus stimulation is a promising approach. Yet, data from properly controlled trials is required before introducing electrical carotid sinus stimulation in clinical routine.